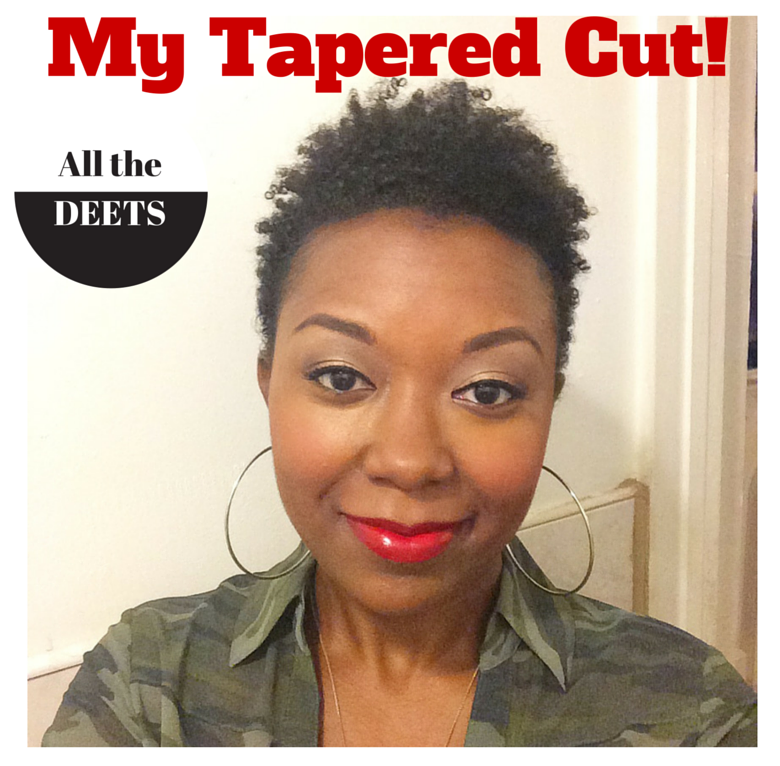 Tapered Cut /// The Deets on My New Hair Cut! After 7 years of growing my hair out, I decided to chop it all off into a tapered cut and I love it! I've come to a place where hair is just hair. It's sole purpose and job in life is to simply grow. With that said, cut it if you feel like it, it will grow back. Hair length doesn't make a woman beautiful (many South African women have low cut hair and they are stunning! ), her confidence, love of herself and energy makes her beautiful and attractive. This hair cut represented my desire to feel freedom. Freedom from detangling sessions and monitoring the weather to see when I could wear my hair out and freedom from thoughts, beliefs and energies that no longer served me or never did. I believe hair holds energies and though cutting it to release those energies isn't necessary, I personally felt the desire to release some energy that way. I also felt that because my hair is fine and of medium density that shorter hair actually suits me better. 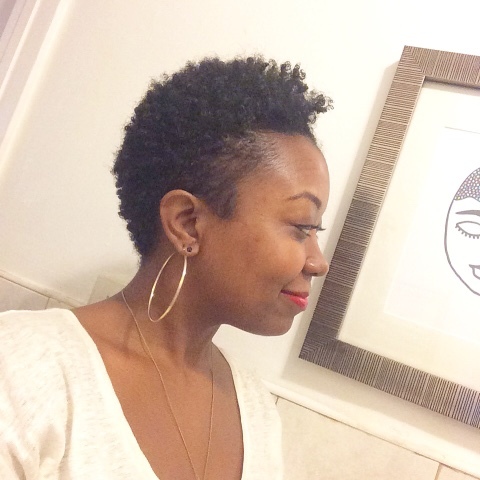 It's less maintenance and manipulation needed and my hair appears fuller when it's shorter. 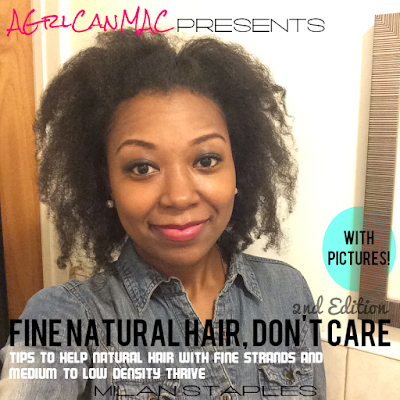 Now let's get to the details on my hair: where I went, what I'm using and how I'm styling and caring for it. Keep reading to find out. I had been following them for quite some time on Instagram and saw how talented all of the stylists there are so when I made up my mind that I was cutting my hair, I knew that I wanted to go there. Carmen was my stylist and she was amazing! She did such a great job, was warm and welcoming and was very professional. My appointment was only 2 hours instead of being there all day like many salons. I hadn't stepped foot into a salon in over 7 years so this was a real [birthday] treat for myself. I'm so happy that my experience went well and I will definitely be back because I plan to keep my hair short for a while. I plan to go every 3-4 months to keep my hair around this length. The salon itself has a chic and cozy, modern decor. It's very clean and all of the staff are warm and professional. The salon's natural hair services include cuts, color, braids, weaves and straightening. I recommend them and Carmen. It's been a few weeks in with my new cut so I am still exploring. So far my staple products consist of leave in conditioner and gel because all I do are wash n go's. All the products I'm sharing, you can find on my Amazon store, see the shop tab above, for purchase if you live in an areas where you can't find these locally. 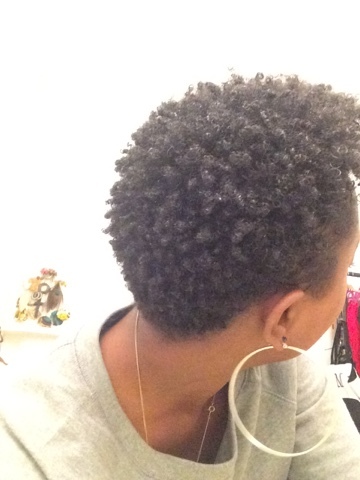 I had a small container of the argan oil Eco Styler gel so I use that for definition and hold. Underneath that, I use any creamy leave in conditioner that I can get my hands on. At this point, I'm not married to a brand. I've tried Mixed Chicks Leave-In and it is good. I find that it doesn't play nice with the Eco Styler gel so it can get flaky some. I also dislike that it has artificial colors added to it so once my travel size of it is used up, I more than likely won't purchase again. If you don't care about artificial colors added to your products, it's a good leave in to try. I recently purchased Dr Bronners leave in conditioner and like this a lot. 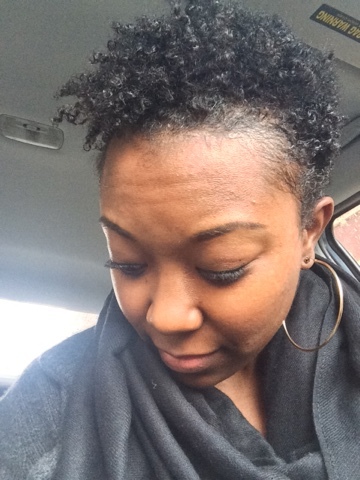 It leaves my hair softer than the Mixed Chicks underneath the ES gel BUT I've found that I get a little more curl definition and longer lasting curl definition and hold with the Mixed Chicks underneath the ES gel. If you you cannot find these products locally, you can find all these products that I called out in my Amazon store (see "Shop" tab at the top of the website) under the "AGCM: My Tapered Cut" section within the store. to quicken the drying. I recently purchased Laila Ali's soft bonnet hair dryer for the days that I have more time because indirect heat is more friendly than direct heat on hair. If you cannot find the hair dryers mentioned in this section locally, you can purchase them from my Amazon store (within the "Shop" tab at the top of the site) under the "AGCM: My Tapered Cut" section. Day of the cut! Carmen did such a great job, I will be back to see her! Even with hair this short, I still sleep with a sleep cap on every night. To refresh my koils and kurls each morning, I coat my fingers with a little oil to just de-flatten my hair and then I mist a little [distilled] water or a mix of [distilled] water with honey and oil added. Right now the water mix has avocado oil in it. When that mix is used up I may use argan oil instead. And that's it. 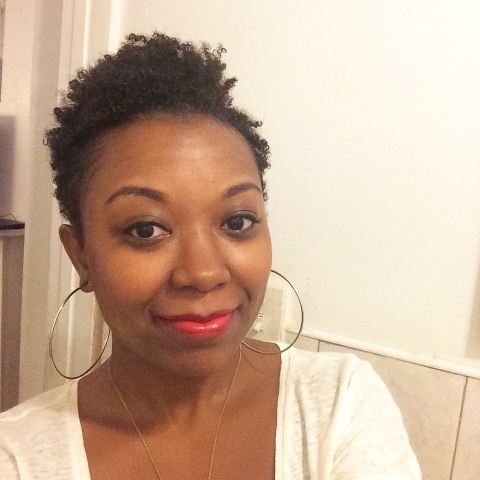 I love how much simpler my hair care and styling regimen has become! I love my hair and this new style; I want to keep my hair this short for a while. Do any of you have a tapered cut or are considering getting one? 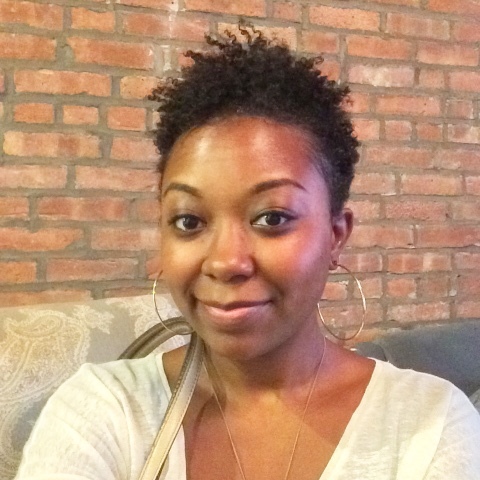 If you check out H2 Brooklyn salon, let them know that Milan sent you! I love it! Oddly enough after 6 years of growing my hair and wearing it natural, I cut it down in the Spring for a pixie look and it is refreshing! I got my Sunday nights back, WHATTT!